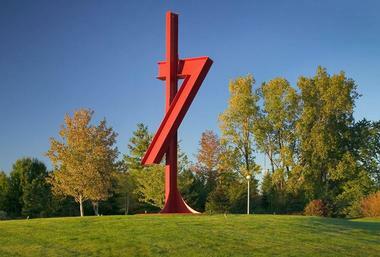 The Frederik Meijer Gardens and Sculpture Park is located in Grand Rapids, Michigan. With over 650,000 visitors annually and 158 acres to explore, Meijer Gardens is fun for the entire family. The goal of the dedicated staff at the gardens is to promote enjoyment and appreciation for horticulture, the arts and the splendor of nature. 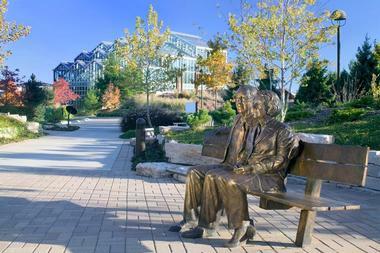 The Meijer Gardens and Sculpture Park is one of the top cultural destinations in the Midwest. There are five indoor gardens, each with a different theme, and plenty of outdoor gardens with nature trails, and boardwalks for hiking. The largest tropical conservatory in the nation is also housed there, as well as a variety of different gardens and sculpture collections. The world-class sculpture collection can be found spread throughout the gardens, permanently intertwined with nature. However, in order to showcase different artists from time to time, there are indoor galleries for temporary sculpture collections. There is also an outdoor amphitheater that is currently home to one of the most beloved summer concert series in the area. Meijer Gardens and Sculpture Park has five different themed indoor gardens: Lena Meijer Tropical Conservatory, Kenneth E. Nelson Carnivorous Plant House, Earl and Donnalee Holton Victorian Garden, Earl and Donnalee Holton Arid Garden, and the Grace Jarecki Seasonal Display Greenhouse. The planting of the outdoor gardens vary by season so that they can be visited and enjoyed year-round. There are outdoor nature-walks throughout the year in order to foster education about nature and various ecosystems. There is the Gwen Frostic Woodland Shade Garden, which features plants that have been commonly portrayed in the work of nature artists. There are also two gardens that highlight not only the importance but the joys of horticulture: The Leslie E. Tassell English Perennial and Bulb Garden and the New American Garden. Some more notable permanent outdoor attractions include: The Richard and Helen DeVos Japanese Garden, The Lena Meijer Children’s Garden, and Michigan’s Farm Garden. 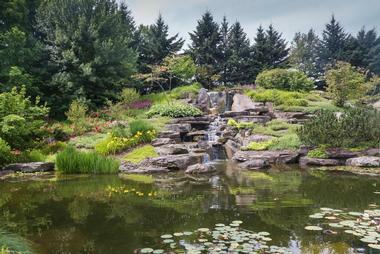 The Japanese Garden features 8 acres of astonishing tranquility and beauty. It features an authentic Japanese Teahouse, a Zen Garden, and many classic Japanese flowers and plants. From the second visitors walk through the beautifully crafted entry gate, it will feel as though they were instantly transported to Japan. The Children’s Garden is known as one of the most interactive children’s gardens in the nation. Its goal is to spark imagination, creativity, and education through fun-filled, hands-on activities. Kids can dig for fossils, solve mazes, sit in a giant bird’s nest, and even examine sculptures through fun “kid-friendly” viewpoints. Michigan’s Farm Garden focuses on local horticulture during the Depression Era of the 1930s. The garden has heirloom vegetables and flowers to give it an authentic and truly self-sufficient feel. There are animal pens, a barn, and even a farmhouse which is representative of Lena Meijer’s childhood home. The goal of this garden is to showcase an era of the past when families had to work for their own food and each member contributed equally to the farms success. Multiple weekly and annual events are held in this garden which transport visitors back to a simpler time such as Old-Fashioned Farm Days, Fridays on the Farm, Amazing Honeybees, Meet me at the Fair, and Heirloom Tomatoes. 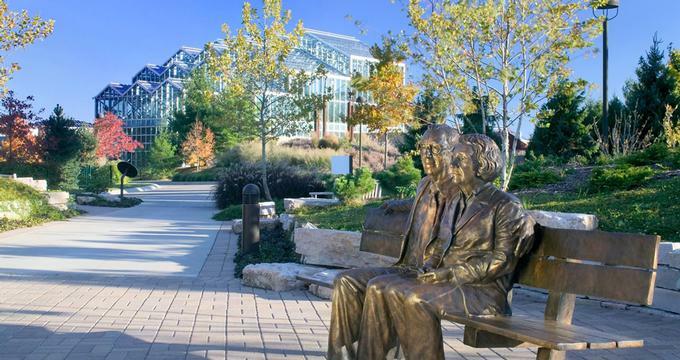 The sculpture program at Meijer Gardens is two-fold featuring an internationally-acclaimed permanent collection housed on more than 30 acres, and temporary exhibition programs. The gardens host three temporary exhibitions each year which are featured in their 4,000 square foot suite of indoor galleries. The permanent collection is known as one of the most significant in the nation and is displayed amongst waterfalls, meadows, and quiet walkways. There are more than 50 unique works of art in the sculpture park, featuring artists such as Auguste Rodin, Henry Moore, Elisabeth Frink, Barbara Hepworth, Jim Dine, Louise Bourgeois, Mark di Suvero, Richard Serra, and many others. After 13 long years of planning and fundraising by the West Michigan Horticulture Society, the Meijer Gardens & Sculpture Park opened to the public in the spring of 1995. The vision may have never been realized without the support of Fred and Lena Meijer, the Gardens’ largest donors and namesake. The Meijer’s were intrigued by the idea of combining sculpture art and gardening into one exciting experience, and have not only helped the gardens become a memorable experience but a nationwide success. 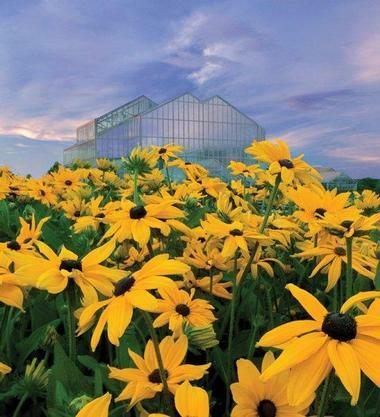 From sculpture acquisitions and installations to garden expansions and additions, Meijer Gardens has been constantly flourishing for more than 20 years. This may not have been possible without the extensive community support for the gardens that has been present since the very beginning. Approximately 50,000 guests attended the opening of the first garden exhibition, “Butterflies are Blooming,” in March of 1996. The sculpture park was dedicated to the public in 2002 and featured six international artists in the permanent collection. In 2004, the Lena Meijer Children’s Garden was opened to the public and is known as one of the most interactive children’s gardens in the nation. The most recently opened garden is the Richard and Helen DeVos Japanese Garden, which took almost three years to construct. Although the main campus of Meijer Gardens is 158 acres, there are an additional 200 acres of nature conservation nearby, as well as recently acquired land which the staff of the Gardens plan to use for future expansion and growth. Meijer Gardens and Sculpture Park offers various tours which highlight numerous aspects of the gardens. Depending on what visitors are interested in, tours can range anywhere from 2 to 8 hours. Tours can revolve around family fun, seasonal highlights, or a love of art or horticulture. All tours can be personalized per visitor preference (indoor, outdoor, permanent or temporary) and can accommodate various interests (abstract, animals, botanical, water or art). There are even tram tours offered for those who need assistance. The Taste of the Gardens Café allows visitors to enjoy a relaxing bite to eat along the water underneath an astonishing glass ceiling sculpture, but if the weather is nice, outdoor picnics are encouraged. There is also a gift shop where visitors can purchase souvenirs or gardening tools of their own. In June, Meijer Gardens and Sculpture Park will be celebrating the one year anniversary of the Japanese Garden by hosting an event. It will be held on June 21, 2016 from 9am to 9pm, and will include films, musical performances and tours of the garden. Currently, there are approximately 200 staff members employed by the gardens, however, it takes quite a bit more man-power to keep the gardens up and running. There are more than 1,000 active volunteers and 27,000 members whose gracious gifts and constant support keep the gardens flourishing.